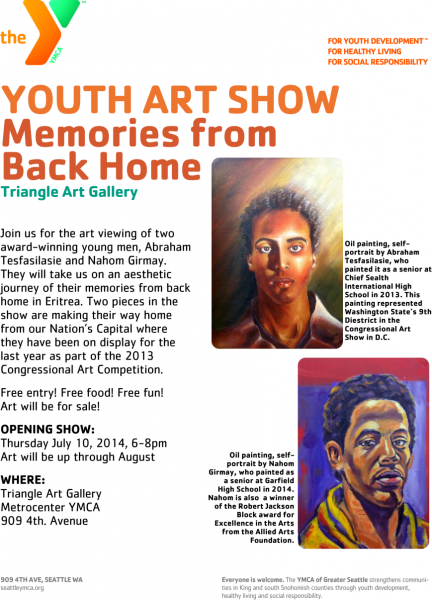 Join the YMCA for the art viewing of two award-winning young men, Abraham Tesfasilasie and Nahom Girmay. They will take us on an aesthetic journey of their memories from back home in Eritrea. 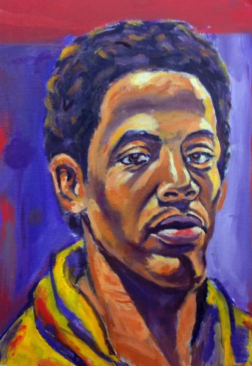 Two pieces in the show are making their way home from our Nation’s capital where they have been on display for the last year as part of the 2013 Congressional Art Competition. Free entry, food and fun! Art will be for sale.